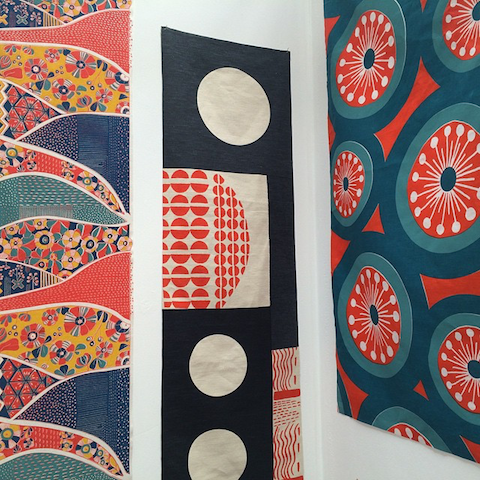 My second review from the 2015 New Designers show focuses on a variety of exciting textile and surface designers. 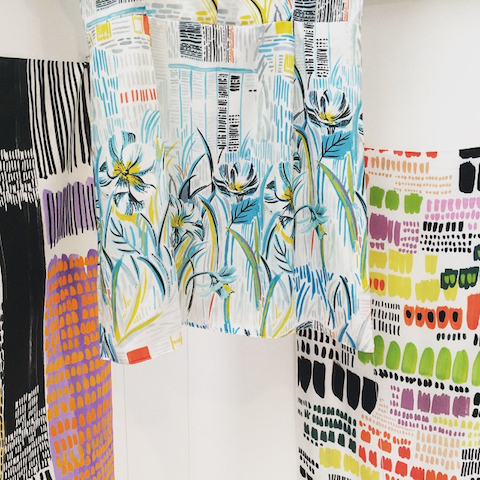 Next up in my coverage of New Designers 2015 part one I present more favourite textile and surface design – this time concentrating on florals, narrative designs and a popular jungle theme. 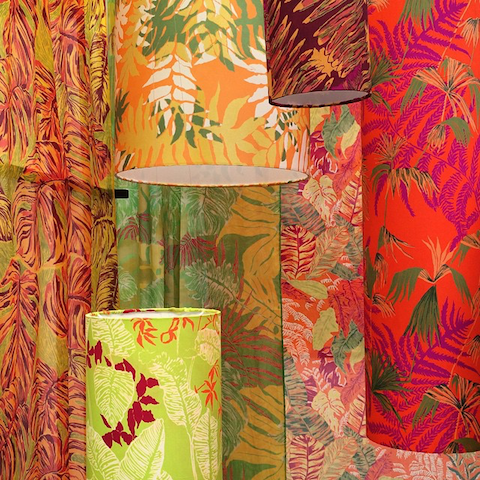 Emily Ward at Norwich Uni put together a fabulous display showcasing her designs on lampshades. 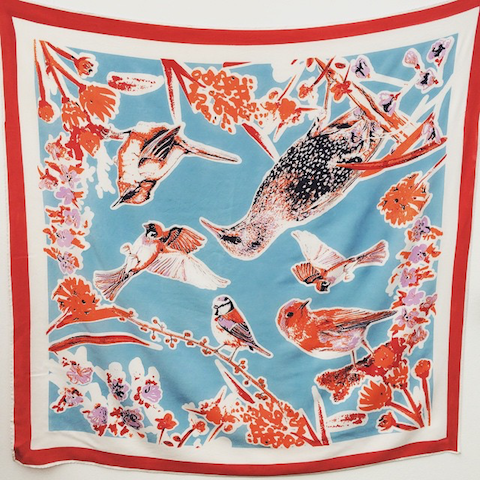 Beautiful birds feature on this lovely silk scarf by Zoe Cook. 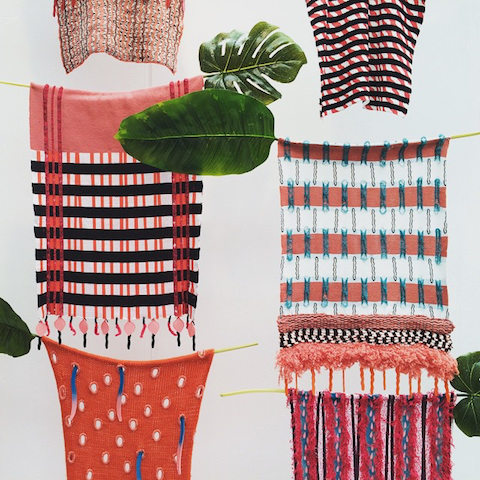 This lovely knitwear installation from Marcia La Madrid makes creative use of the very popular rubber plant motif. 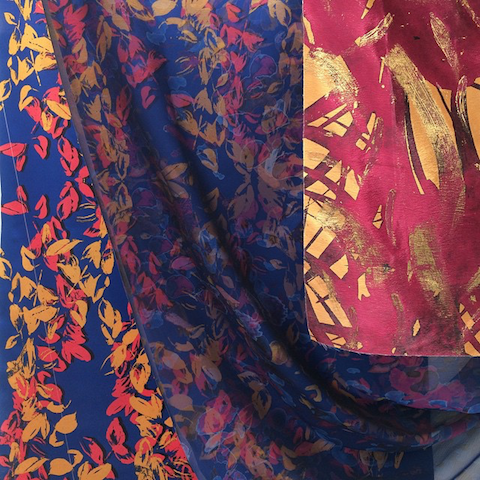 This lovely rich textile design is by Valgi Krupti at Bucks New University. The 50s influence was strong with Wendy Connington at Loughborough Uni. 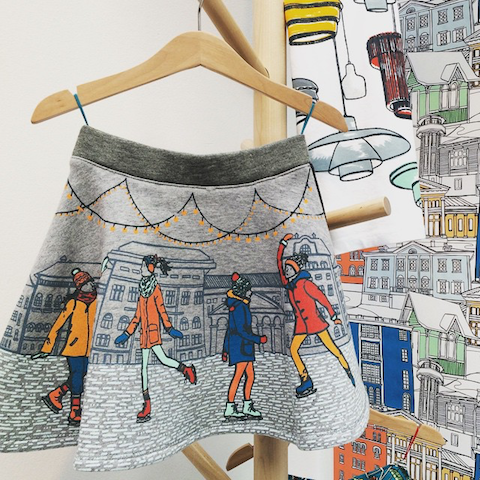 Fun prints from Alice Greaves have a narrative feel. 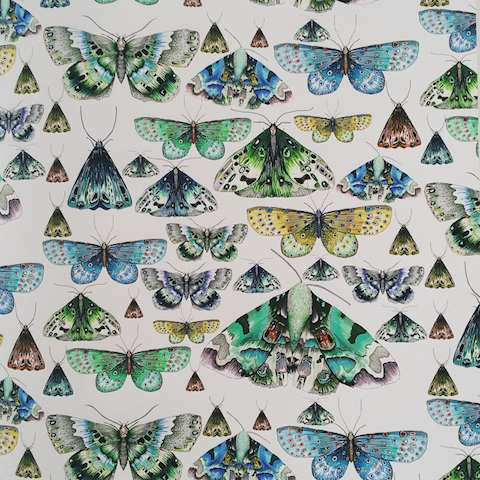 Izzy Dryburgh pursues the ever popular butterflies theme. 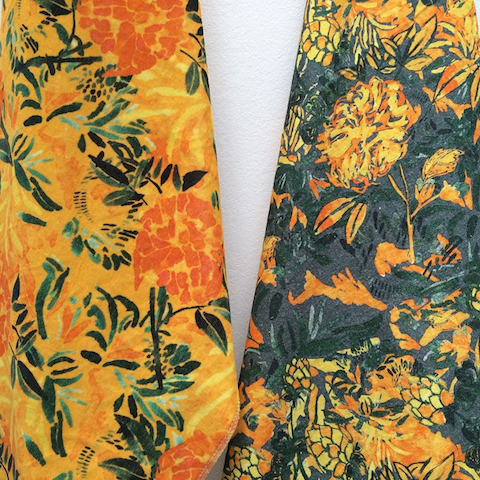 Juicy florals by Rachel Whichelow at Huddersfield make brilliant use of sunny colours. 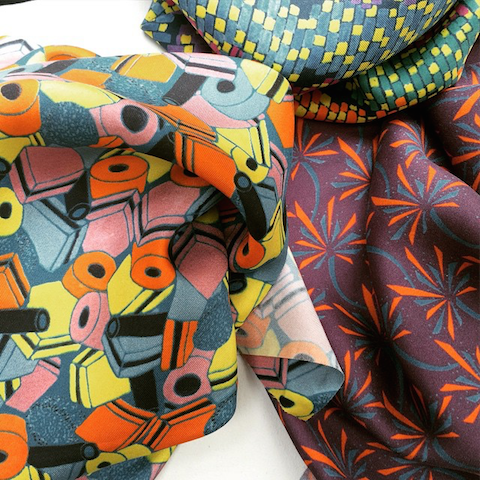 Hannah Reuter had fun with this lovely liquorice allsorts textile design. 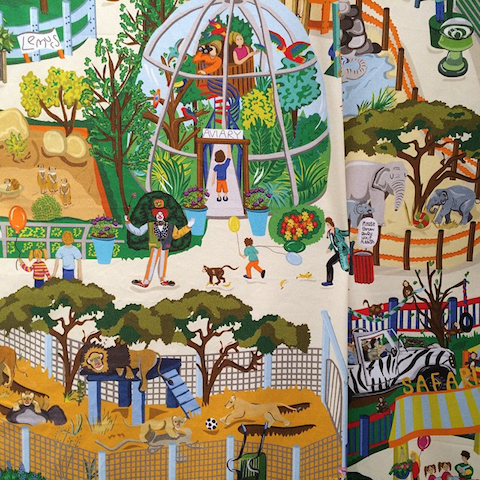 A Day at the Zoo is by Emily Downer at Falmouth Uni. Sophisticated embroidery created by Jemma Scanlon. 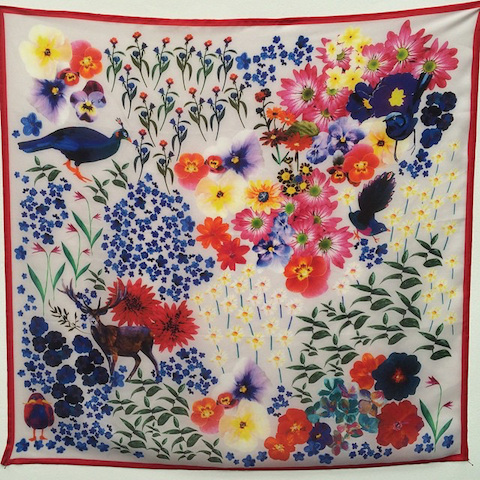 Jessica Boulton was inspired by A Midsummer Night’s Dream to create this stunning scarf – a firm favourite with my followers when I shared this on my instagram feed. 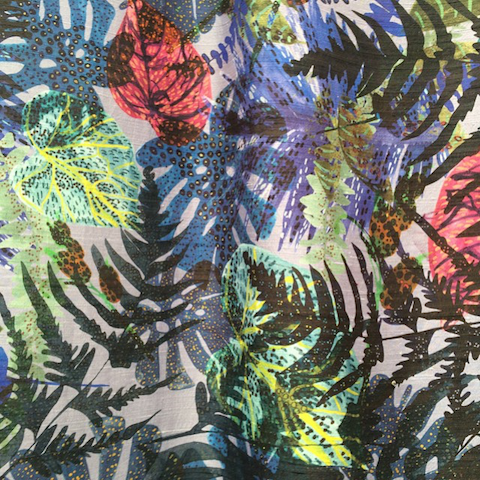 At University of Dundee award winner Emma McCluskey created this gorgeous leafy print design. 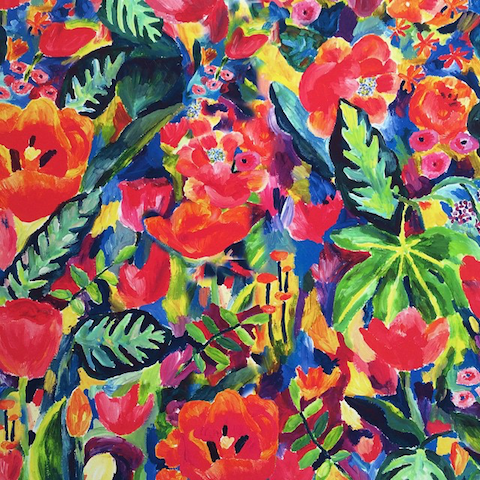 Extravagant painterly florals are by Sophie Rolley at Leeds College of Art. Suzannah Marakova created these glamourous decorative designs. 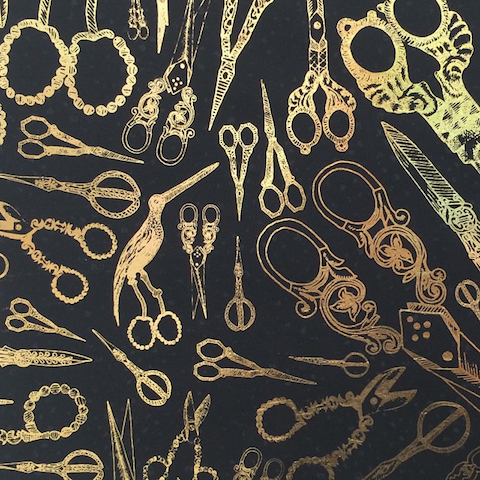 This cool scissor pattern is by Hannah Edmonds. 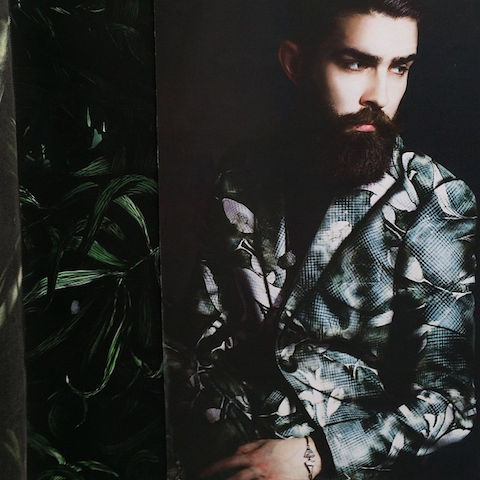 Joe McFadden at Herriot Watt worked the hipster look with dark floral sophistication. 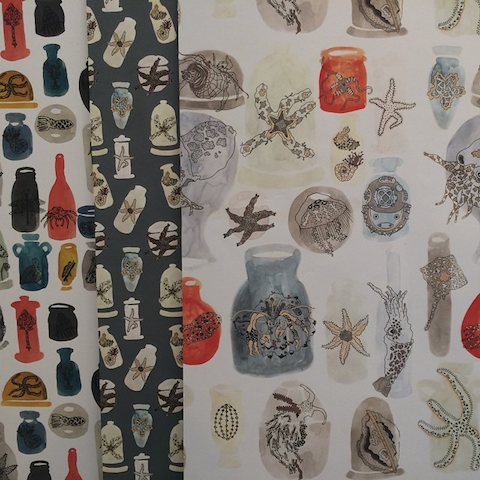 And finally, pretty patterns inspired by curios by Hatty Atkins at Nottingham Trent Uni. 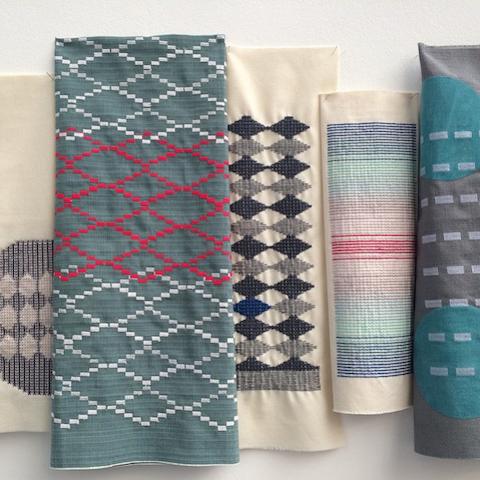 All of these images first appeared on the New Designers instagram feed (they very kindly asked me to guest post a favourite selection from both part one and part two of the show) or on my instagram feed: follow me there to catch my discoveries as I make them!